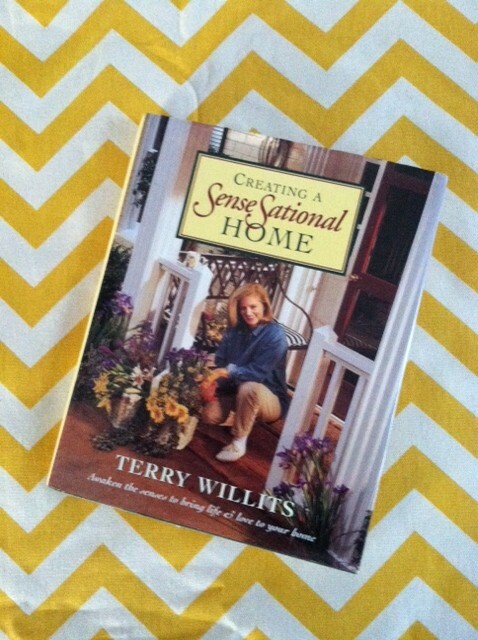 This book explores making your home pleasing to all five senses. Instead of covering rules of decorating, it shows you how to make your home a welcoming place, a place that appeals to YOU. Often when decorating, we focus solely on the visual. How does it look? But our entire body experiences our home. So if you want your home to be a truly welcoming, comforting place, embrace your other four senses also. Touch - do you love to run your hand over the fabric on your sofa, or does the texture bother you? Do your feet hit an icy floor when you step out of the shower, or a deep cushy rug? Smell - smell is so important. One of my favorite childhood memories is coming home from school and smelling the dinner my mom had cooking on the stove. Nothing says 'welcome home' like that! Sound - stop for a moment and listen to the sounds of your home. I changed several things when I realized how important this aspect was. No more yelling from room to room - if you want me, come to where I am. (or text me - ha!) No more running the vacuum, washer and dishwasher all at the same time while my family was trying to relax. I don't want the noise level in my home to give my family a headache. The book covers all of these aspects in much greater detail of course. The book is out of print and has been for some time, but you can still find used copies all around the internet. Clicking the picture of the book above will take you to Amazon where they have several used, very inexpensive copies. I hope you love it as much as I have! I love that the book uses the 5 senses to guide one through home decorating. Thanks for sharing!